Good news!!! Soon the Skunk Train is going to be running full steam ahead. In April, Tunnel Number 1 on the Skunk Train line caved in. The maintenance crew of the Skunk Train have dealt with cave-ins before but this one was massive. The railroad didn't have the resources to move the debris and fix the tunnel. They have been doing fund raising and the most recent development is that the Save the Redwoods League and Skunk Train have made a deal that will finance the tunnel repairs. 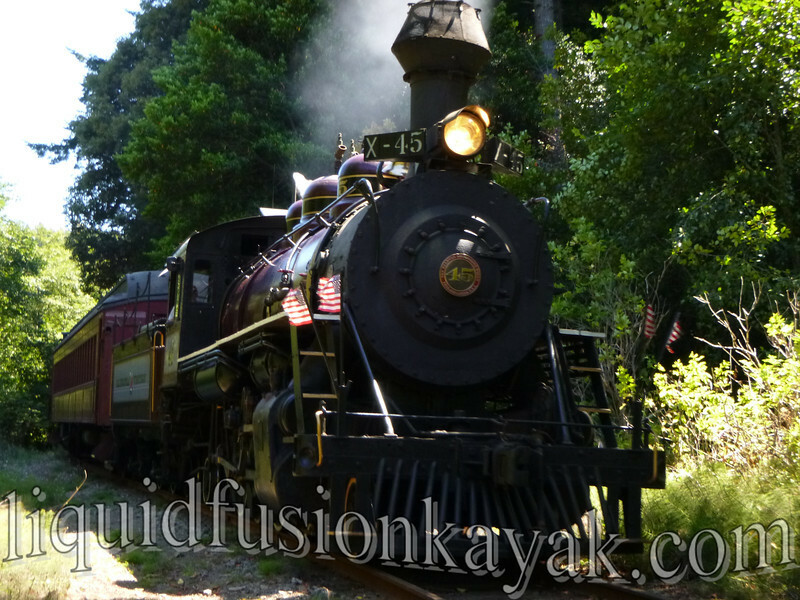 We are excited because the Skunk Train is much of the heart of Fort Bragg and Mendocino County. People come from all over the country to ride the historic train. Many bring their children and grandchildren to ride the train that they road as children. 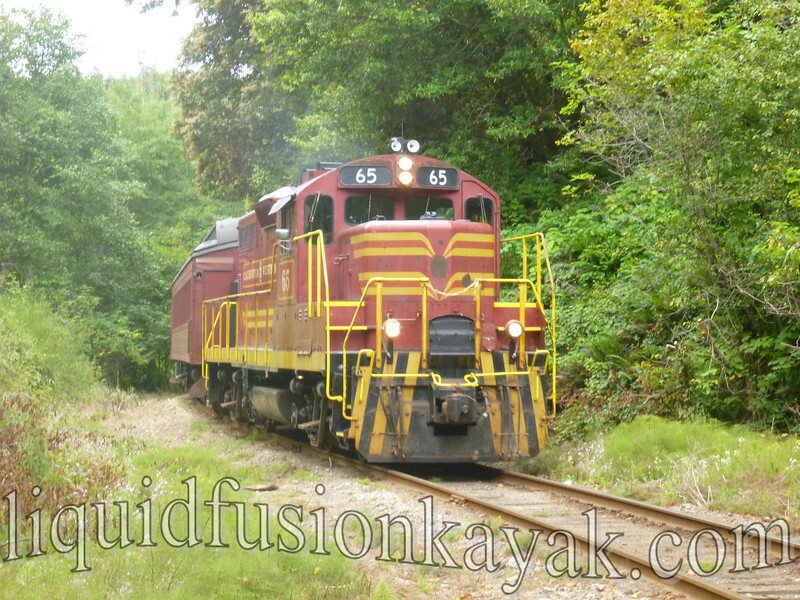 In 2010, we partnered with the Skunk Train to offer a kayaking trip. Our Tracks to Kayaks trip is a great way for people to experience the Noyo River Valley. On the train, passengers ride through the redwoods and learn about the history of the train and logging in Mendocino County. They get to see 22 miles of the Pudding Creek and Noyo River watersheds. Those taking the kayaking option, get to step off the train into the wilderness that they have been seeing. As the train pulls away, the clicky-clack sound is replaced by bird songs and trickling springs. 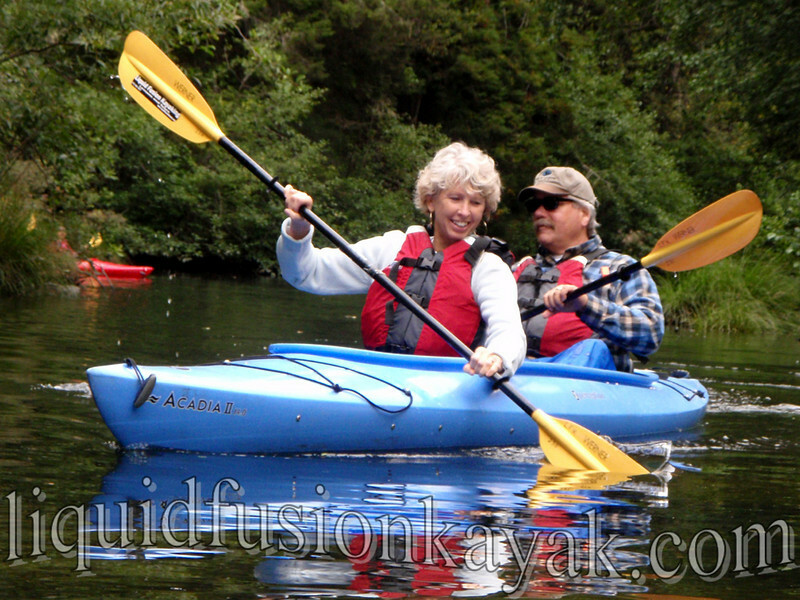 Participants then get to cruise in our stable tandem kayaks down the Noyo River. Over the 2.5 miles, they are likely to see turtles basking in the sun, birds in the canopy of trees above, tree caves along the river, the flora and fauna of the North Coast Coniferous Forest and Riparian Habitats, and the wildlife that is associated with these habitats. Sound magical? It really is and we are excited that we are going to be able to start running Tracks to Kayaks Trips again. Here's a link for more information including dates and how to make reservations. For the Birds . . . or the Cookies?